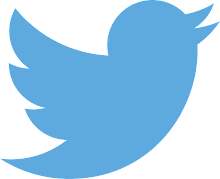 Providing pop music, television, film and video game score reviews to the public since September 2013. "It sounds utterly corny saying it, but I feel all warm and fuzzy listening to this score." With originality spawns acclaim, I like to believe, so long as that concept that is deemed original is executed well, and this just so happens to be the case with Child of Light, the most recent Ubisoft-published video game on the market. Developed by Ubisoft Montreal primarily, the game is being described as an utterly brilliant visceral and engrossing experience, from review sites and sources like IGN, GameZone, and Destructoid. Moving away from it's big franchise games, and into more indie territory, Ubisoft introduced us to the world of Lemuria in Child of Light, a world which has had it's sun, moon and stars stolen by the Dark Queen, Umbra. The player runs around this world as a girl from 1895 Austria, fighting various enemies, in hopes of saving the world of Lemuria from Umbra. The developers set their hearts on creating something that appealed as an original, visually exciting experience, that drew no easy comparisons, and for the most part, that seems to be what Ubisoft has turned out with. The artistic direction the game was taken in has been acclaimed by many, for it's resemblance to hand drawn landscapes and characters. It looks as if an artist sat down and drew every frame of the game, despite the fact that we know this is inconceivable. For such an artistically driven game as this, a pretty and simple score was required; one that still held a lot of thematic ingenuity, but appeared straightforward and simplistic for all those not paying near enough attention. For this job, a lady by the name of Beatrice Martin, also known as Coeur De Pirate, was recruited by the developers, and given the task of providing a score. With a piano, a few soft spoken stringed instruments, and a good deal of flutes and other woodwinds, Martin set out to create a piece of music that served the artistic tranquility of the game well, and represented the fairy-tale like world that our main character was being plunged into. Does the score stand as something of marvel, or it's simplicity it's downfall? Lets explore! What Martin gets so right with this score is it's simplicity, which could have very well been it's undoing. Armed with few instruments, Martin has managed to give us a score which doesn't overreach it's boundaries within the context of the game; instead, she takes the utilities she has at her disposal, and creates a soft spoken but glorious score, which manages to befit the game's subtle and remarkable landscapes and characters. Piano is the core of this score, as it was in the outstanding album that I drew many comparisons to here, Monaco: What's Yours Is Mine, by Austin Wintory, released last year, and we saw how incredibly well that score did come end of year, scooping up the Best Video Game Score award here at Entertainment Junkie. It seemed quite easily conceived; with a single instrument such as a piano, you can create music that deserves re-listens after re-listens. 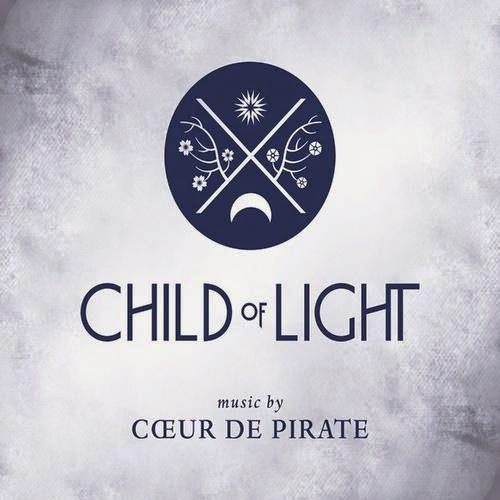 Child of Light can be compared to Monaco in this aspect; Child of Life is full of interesting and dazzling music that will invite me back many times into the future, as Monaco has done many a time before. From the first piece, Pilgrims on a Long Journey, the theme is established with the soft grace only a piano seems to be able to possess, and it's most certainly hum worthy. From that simple introduction to the theme, we then get more instruments joining in, most notably a number of stringed instruments, which seem to play off the every note made by the piano. Second to the focus on piano, is the focus on both piano and strings, and their interactions. Martin has taken a single theme, bounced these 2 instruments off each other, and has created something rather beautiful. It's not the most intelligent material, and it's not a score that really pushes the bar too much conceptually; it's the utterly flawless presentation, execution, and charm that makes this score shine out from the rest. In many ways, this score could be compared to another 2014 video game release which I rated admirably high, The Elder Scrolls Online. Whilst Child of Light is not nearly as long as The Elder Scrolls Online, and does not harbour as many thematic ideas, both possess a beautiful harmony about them, that makes them so damn irresistible. They don't have to explode into glorious battle music, or try anything too extreme to capture your attention fully, though both scores certainly do try to do both these things at various points throughout their running time. These score's shining moments are undoubtedly the quiet moments; those which stick to very subtle instrumentation and composition, and don't go beyond simplicity. Whilst your average listener will crave something advanced in the way of composition, that excels in foreshadowing, melodies and complex riffs, many should be able to appreciate the undertone of this score, the quiet brilliance lying within. It isn't the most out-front score you'll listen to all year; more so, it's something that begs investigation and re-listens. Emotionally charged and easy on the ears, this is a listening experience that you will treasure for it's quiet presence. Despite all it's quiet moments, the score does pop out occasionally, providing us with some enjoyable and impressive battle music; examples of this can be found in the cues Jupiter's Lightning, one of the most impressive and expansive cues on the card, Metal Gleamed in the Twilight, an immaculate and rarely-found complex feat (in the context of this album), and Dark Creatures, which some would argue serves as the main battle theme of the album; an immediate, fast paced and exciting cue, which focuses a lot more attention on the brass section than prior and preceding pieces. Martin does infuse a lot of brilliant music into the battle sections, though she manages to keep it all reasonably centred, keeping the piano at the forefront of each cue, to keep coherency with the more relaxed portions of the score. Even when the score turn loud and exciting, it still manages to preserve it's continuity, which is admirable from any composer. Martin has created a true spectacle of a score, one that demands attention, despite it's often relaxed and laid back nature. Part from Godzilla and The Elder Scrolls Online, I'm quite positive that this will be the title that I come back to most often this year, as there's so much to take in, all in the space of a relatively short 49 minute running time. It's cheap on most sites, Amazon pricing it at a mere $7.99, for a brilliant amount of material. Martin's score is not necessarily one to marvel at, but more to embrace; it's like welcoming and hugging an old friend. It sounds utterly corny saying it, but I feel all warm and fuzzy listening to this score, and the smile just can't be taken off my face, all throughout it's running time. This is a beautiful introduction to Beatrice Martin, aka Coeur De Pirate; I expect to hear much more from this remarkable woman. You can purchase Child of Lights on Amazon here. Copyright © 2016 Callum Hofler. Website created on 26/9/13 AUS EST. All rights reserved. Travel theme. Theme images by i-bob. Powered by Blogger.